This image was captured almost a year ago to the day. It’s crazy because I can still remember it like it was yesterday and looking at it brings back so many memories. I had been messaging with my friend, Birch, about something random. I don’t think it even had anything to do with photography when she finally said that she had just got into the city and it was layered with fog. Luckily I had no plans that Sunday morning so I was able to quickly get ready and meet up with her. We spent the next couple of hours just talking and taking pictures. It was the best. Everything felt so surreal about this photowalk. The fog made it feel like we were walking through a dreamland but it was also eerily deserted. For being the National Mall on a weekend, there was no one out! 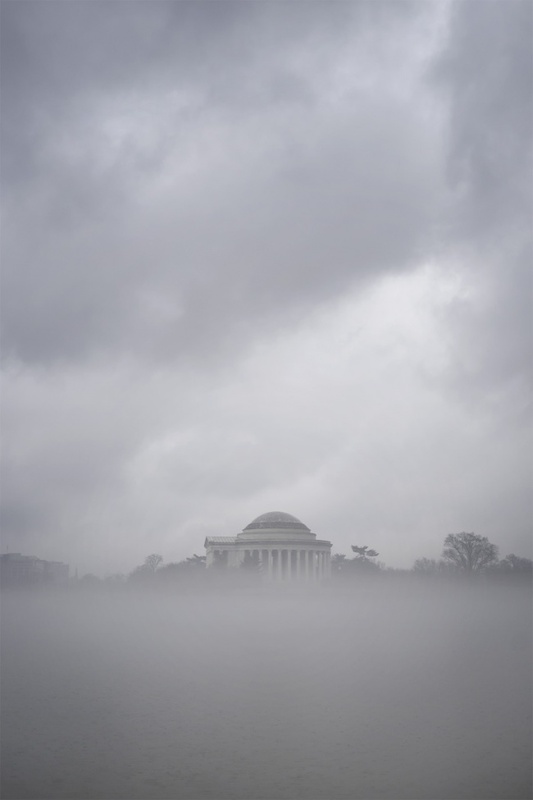 Usually you would see people walking around enjoying the monuments but there was something about the fog and very light rain that must have deterred people from coming. I was not complaining though. It made for amazing images and it was so awesome not having to worry about being in other people’s way. Parking was easy smeasy too! I really hope that after we’re done with this subzero cold front and wind that Washington DC is going through now that we will get another day like this again. It really was magical. But until then I hope this image of fog warms your day up just a little (as I sit here at my desk still wearing my winter jacket and two layers of pants)… books flight to Florida. JK. LOL. My camera settings for this image is F4 at 1/1000th sec at ISO 320 with my Sony A7II and 16-35mm wide angle lens. 2019! WOW. Not to total ignore 2019 but everytime I think 2019, I can’t help but think 2020 is just around the corner and that is just bananas to me. Like can you imagine people saying that they were born in 2020? The number is just crazy to me. P.S. Where are the flying cars at? 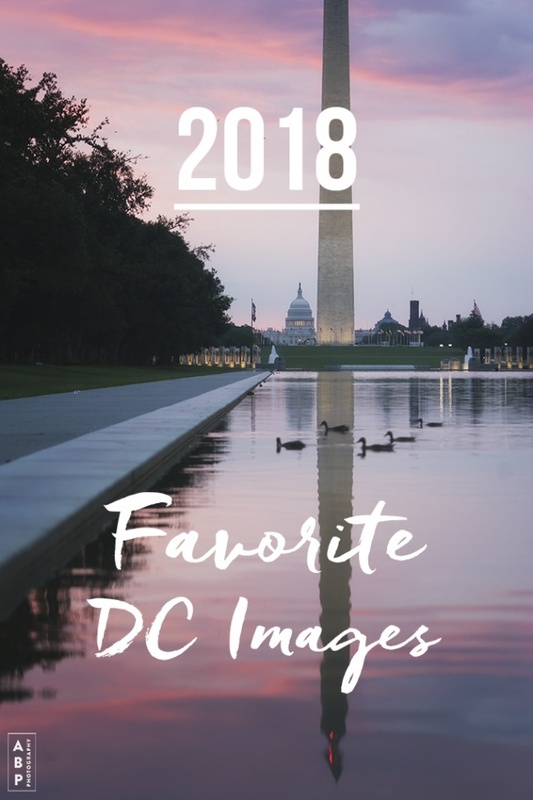 Much like my top travel images of 2018, I like to reminisce and look back on my favorite images from Washington DC from the past year. It makes me feel so fortunate to live in the Nation’s Capital. I love being able to hop in my car and within minutes be among some of the most recognizable and loved landmarks in the world. I feel extremely blessed and look forward to another year of capturing more images. Click on each image to read the original blog post but I’ll try to add some additional light on these images now that I’ve sat on them for a while. In no particular order except chronological, here are my favorite images of 2018. This day was definietly a highlight of the winter season. I remember we had some crazy foggy mornings but on this particular day, the fog happened in the middle of the day. Oh yea, it was raining too. Luckily, it was on a Sunday and I didn’t have much else going on. So what better way than to walk around the National Mall than with my friend, Birch. I still love how everything lines up in this image, even the little reflection you see in the puddle behind the lady is so interesting to see. Hope you all got some fun photo goodies for the holidays. This image was taken in the summertime. 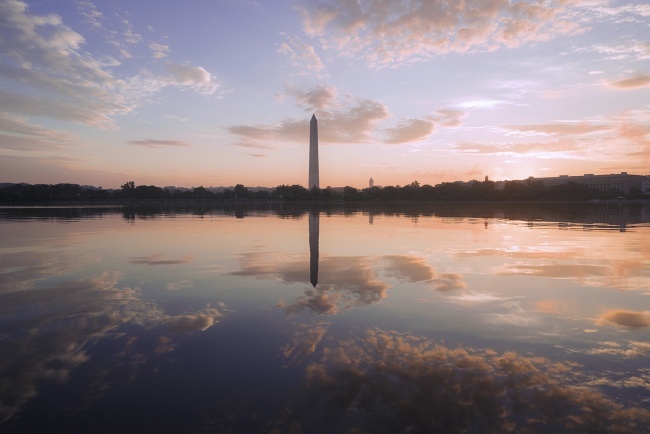 I remember capturing this particular sunrise so clearly because it was from one of those days that the Tidal Basin had been crazy flooded. But this day was probably the most water I had ever seen. My jaw dropped when I walked down there because it was above the park bench seats. It was so easy to capture reflections like this because there was just so much water. I have definietly made it a habit to wear rain boots whenever I visit the basin. Even if there hasn’t been any rain for days, you just never know now and it’s a sad. My favorite part about this image is the cloud formations. I love the way it’s framing the Washington Monument and it looks so good in the water reflection. It makes me want to go back to that summer time weather. And don’t even get me started on those summertime colors. I love the transition from orange to blue. 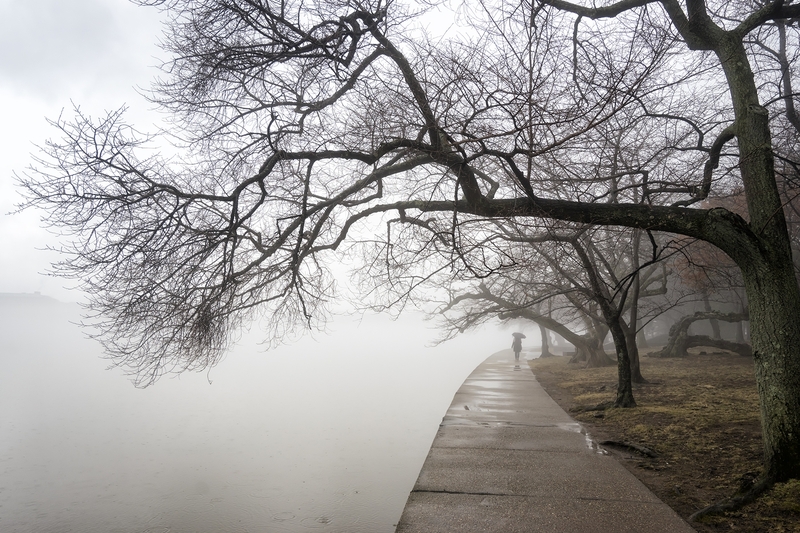 Actually the last time I was at the Tidal Basin (earlier this month), the sidewalk was blocked off. There was no sign or postage saying why, so let’s hope something is actually being done about all this water and flooding. It can’t be good for the cherry blossoms. My camera settings for this image is F5.6 at 1/640th sec and ISO 500 with my Sony A7II and 16-35mm wide angle lens. So after all the color burned off, I was walking back to my car when I noticed that the Martin Luther King Jr memorial was looking especially glow-y. I kind of have this habit of not putting my camera away right away but it’s for moments like this. I thought I was done shooting for the morning but realized that the sun had risen enough that it was casting it’s early morning light on the memorial making it an orange-yellow color. I love when that happens. I tried several different angles but loved this one when I walked to the side to find the Washington Monument and the Martin Luther King Jr memorial lineup with each other. I intentionally photographed this making it look like the two memorials were touching. In other news, it’s only Tuesday and I’m already looking forward to the weekend. Andrew and I will be visiting New York for a quick birthday getaway. His birthday, not mine. It seems like we take trips to New York several times a year but this year has been so crazy that this is going to be my first time all year. I love that city and really looking forward to just walking around, taking pics and eating delicious food. If you have any NYC recommendations, let me know! We always try to do different things each trip so any tips would be extremely helpful. My camera settings for this image is F6.3 at 1/125th sec and ISO 500 with my Sony A7II and 70-200mm handheld. Last week was a stunner. There were so many great sunrises and sunsets. I was able to capture some but not all. This particular sunrise colors didn’t last too long but when they were out, they were out in full force and so vibrant. It totally makes waking up early worth it but that part it isn’t too bad now that it’s winter. It’s a little bit after 7a which makes it pretty manageable. The difficult part about winter sunrises is the cold. I’m definietly bundled up and walking around like the michelin tire man. I decided to go to the Tidal Basin because it’s been a little while since I’ve watched the sun rise from there. 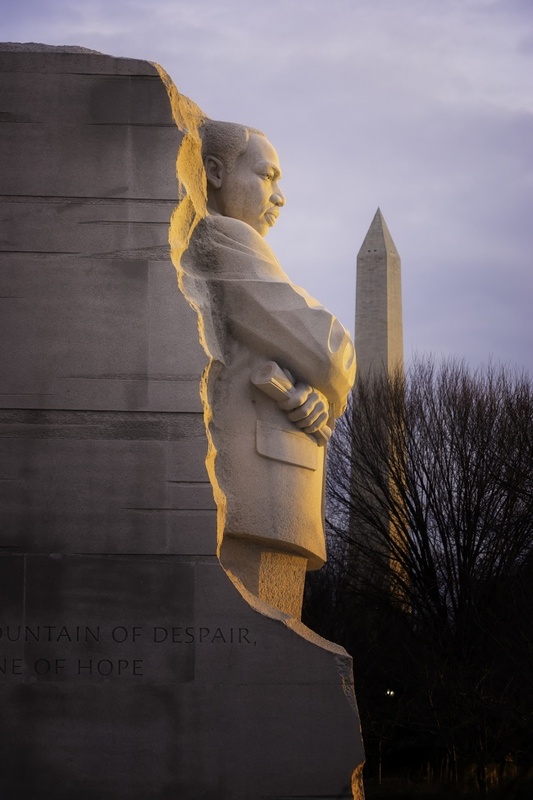 This is pretty close to the Martin Luther King Jr memorial along the tidal basin and one of my favorite spots for sunrise that I mention in this post. I met up with my friend, Larry and we spent the morning just catching up and snapping pics. It was great. Lately whenever I go out, I carry just two lenses with me. The 70-200mm and the 16-35mm but have been favoring the 70-200mm even more. There have been times when I don’t even switch between the two lenses and only use the 70-200mm. I love it. 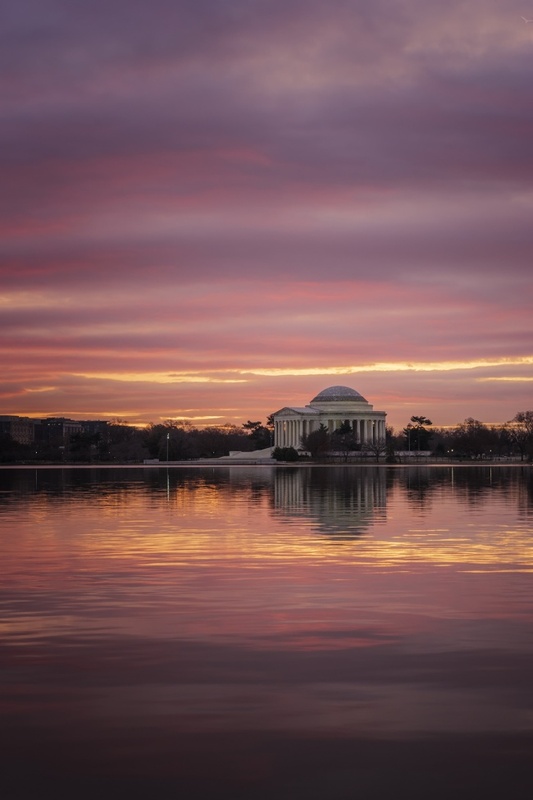 Capturing this scene with the 16-35mm wide angle would have made the Jefferson Memorial look so small and since the color didn’t fill the whole sky, being able to zoom in to a tighter frame gives the impression of more color than there actually was. My camera settings for this image is F9 and 1/25th sec at ISO 320 with my Sony A7II and 70-200mm zoom. Here’s something interesting. The other day I was having trouble sleeping so I started surfing the internet. One thing lead to another and I ran across this article from the Google blog. I’m a month late, but I thought this was interesting enough to share. Turns out google now can credit the creator of images in google image searches! This is such amazing news. I personally know that a lot of my images have been shared without proper credit on social media so I can only imagine where they have ended up. Click here to read the google article. 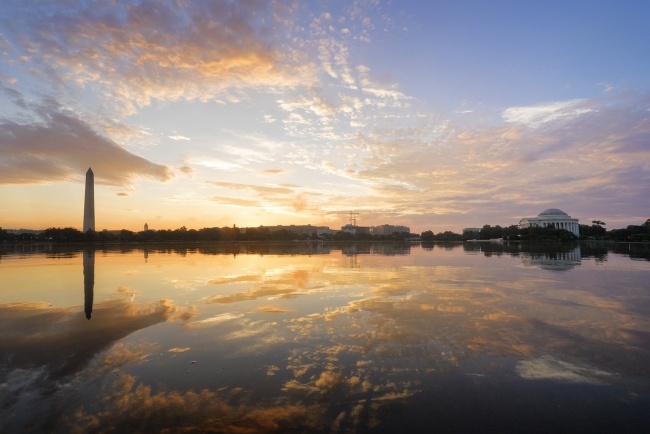 Like, yes I did take that image of the Tidal Basin at sunrise. Thank you google for the image credit! LOL. This image was taken on the same day as this image and this image. Isn’t it amazing how much the sky can change in about 30 minutes? The image previously blogged were when I first arrived at the Tidal Basin however this one was taken when I was about to leave. The water level was still really high but the it was the cloud formations that really caught my eye at that time. By the time the sun came out, it turned all the clouds orange. An explosion of color like no other! My camera settings for this image is F16 at 1/125th sec and ISO 1000 with my Sony A7II and 16-35mm wide angle lens.